Ellis W. Bullock IV started Outerspaces LLC in June 2006. 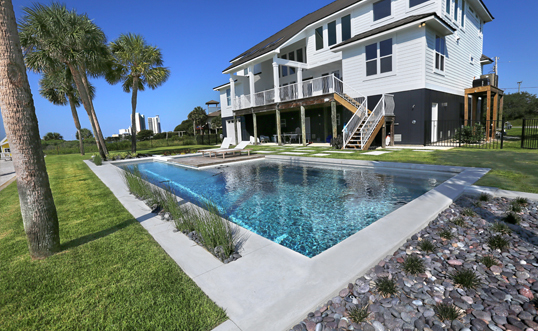 In just over a decade of service, Outerspaces has quickly risen to become one of the largest and most respected landscaping services in the Pensacola Bay Area. At Outerspaces we are client-centered with an outlook of enjoying the clientele relationship long-term. Our number one goal is to help our clients create and maintain beautiful landscapes while reducing the impact on the environment. Whether you are interested in landscape design and installation, maintenance services, seasonal color, or hardscape services, our professional designers can help you create anything you desire. At Outerspaces two outstanding residential maintenance programs are available to ensure that our clients’ landscape investment is properly maintained. 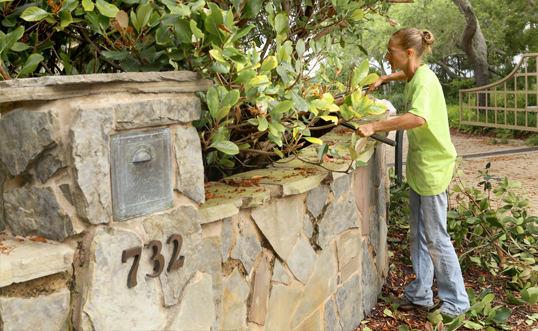 Weekly Maintenance Program — designed for those who expect proper horticultural care of their exterior landscape with attention to detail and service value. Seasonal Maintenance Program — offers a solution for our clients who do not have a need for our weekly lawn care maintenance program. With a proven track record of creative, quality landscape design, Outerspaces designers are continuously striving to find something new and different in their designs. Outerspaces provides every homeowner an opportunity to visualize his or her landscape before the construction phase. Our emphasis is on constant quality, but we also appreciate the colorful twist and turns that go along with creating a beautiful environment. 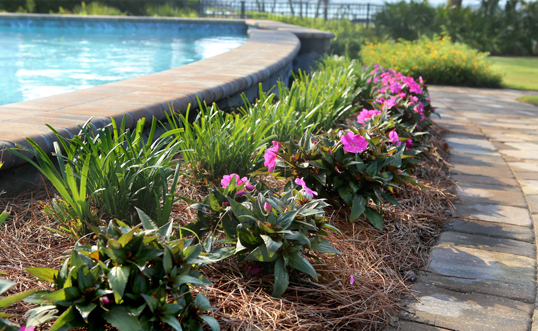 Offering a wide variety of landscaping — from low maintenance care to mature, lush gardens, our designers will work with you from the initial design to the completion of the project. We are on site to insure your landscape is completed properly. 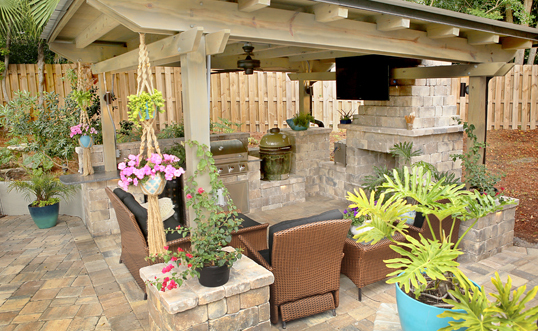 Outerspaces designs many different types of hardscape. Successful hardscape design and implementation has the ability to delineate space in a way that brings continuity and flow between the house and garden. It allows landscape to become architecture. We specialize in designing and installing outdoor spaces, utilizing materials such as pavers, natural stone, and modular block. Most of our retaining walls, pavilions, pools, outdoor fireplaces, fire pits, and patios are built using some or all of these materials.